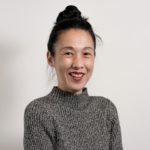 PARK SLOPE – Small business owners uncertain about the Americans With Disabilities Act (ADA) regulations or whether their storefronts are fully accessible should attend an ADA Compliance Info Session this Friday, November 9, at the Park Slope Library. 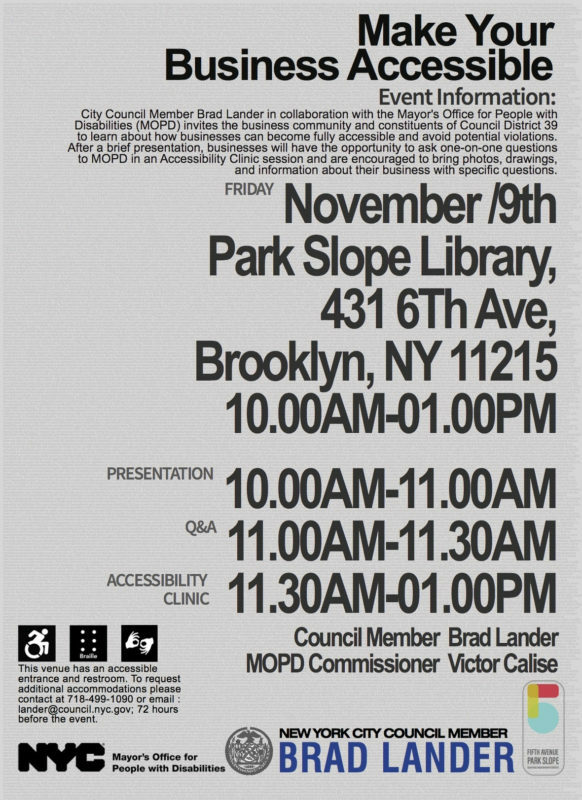 Council Member Brad Lander, the Mayor’s Office for People with Disabilities (MOPD), and the Park Slope Fifth Avenue BID are hosting the event to help local merchants learn how to make their shops fully accessible and avoid any potential violations and lawsuits. Friday’s meeting will include a presentation, a Q&A session, and an Accessibility Clinic in which attendees can present photos and information about their businesses to a MOPD representative and ask specific questions. Last year, Council Member Lander, MOPD, and the Park Slope Fifth Avenue BID announced a partnership with the NYC Department of Small Business Services (SBS) through which the agency educates merchants about ADA regulations, teaches them about common violations, and provides business owners with detailed info on ADA standards and compliance. The need for this initiative arose after multiple small business owners on Fifth Avenue became entangled in legal battles over ADA accessibility. Friday’s ADA Compliance Info Session can help local business owners avoid potential problems.